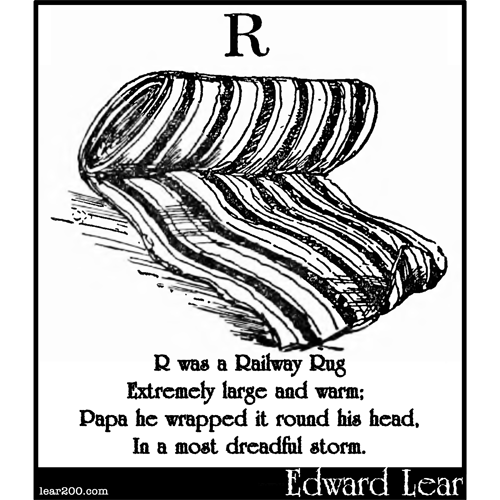 Alphabets | Edward Lear: Two Hundred Years of Nonsense! A ride upon his back. And when to go away. He stole a piece of beef. Papa he said, "Oh, dreadful man! That Villain is a Thief!" I'd give it to my daughter!" The middle of a wood. Because it was so thick. In a most dreadful storm.